What’s So F#@*ing Great About Tesla? 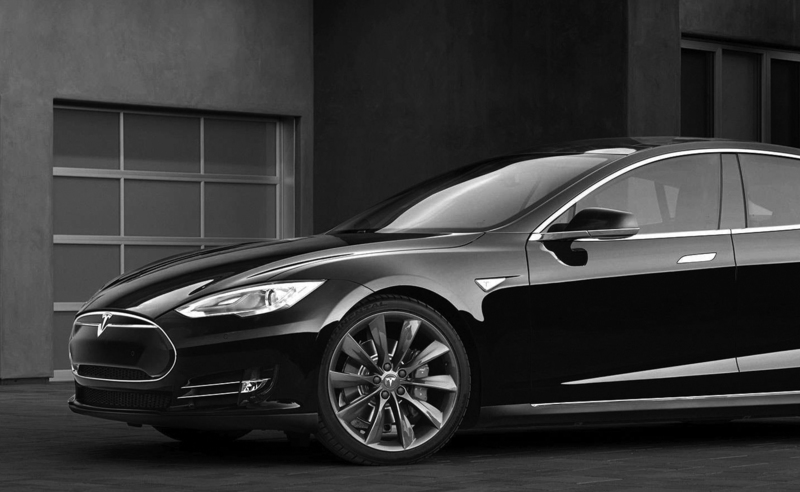 Owners of Tesla automobiles love their cars! Practically every industry reviewer, including Car and Driver Magazine, raves about them. Consumer Reports recently rated the car a 103 on 100. A casual encounter with the car will undoubtedly impress you. If you’ve read any reviews about the car’s technical and performance specs they are spectacular. Based on these factors you would be correct to conclude that the cars are superbly engineered and well-designed. But the car is just a by-product of a much more ambitious idea. The Tesla Electric Vehicle (EV) itself is just one small cog in an expansive, radical vision — it is a means to a larger end. This is by design. An approach to solving a problem and creating value referred to as ‘big D’ design or Design Thinking — and Tesla is a fine case study of its application. It all started with Elon Musk’s long-held desire to reduce and eventually eliminate man’s dependence on fossil fuels. Musk believed that fossil fuels threaten humanity’s existence on this planet. More importantly, he was troubled by our continued reliance on the same energy source that propelled the Industrial Revolution, some 200 years ago. He thought that with all we know today about fossil fuel’s negative effects, coupled with all the smarts, technological and scientific advancements we’ve made on other fronts, we ought to be able to transition the world over to a much better energy source. An energy source for the 21st century and beyond, a source that is arguably limitless, cleaner, and costs less — especially in terms of human lives. The rational ideas that underscore the vision are reassuring, but we humans connect better with emotion. How you make people feel is as important as what you make. The car is a joy to behold, touch and drive — the sleek lines, the automagic sensors, the Jetsonian controls, its quiet “amusement park surge” — are all designed to make you smile and feel good about the world. And knowing you might also be doing good, makes you feel even better. Every aspect of Tesla — the EV cars and its ecosystem — have this palpable commitment and attention to the human experience. Granted this may not be how he would describe his approach, but if you break it down by principles — it is Design Thinking at its best. Design Thinking is a methodology that is being successfully employed by the likes of Apple, Nest, IBM, and consultancies like IDEO and frog, to bring breakthrough meaningful products and services to market, and also to solve‘wicked’ social problems. Following are some of the other key principles. Elon Musk did not just set out to build a better car, he set out to change the energy paradigm. To that end, Tesla is much more than a car company. It is the engine that’s driving the building of a non-fossil fuel dependent future. And that is the problem that Musk set out to solve. The idea of an electric car has been around for a long time. But there has not been a viable one brought to market to date because of a lack of infrastructure to support it, unlike gas-powered automobiles which have gas stations to fill up at on every road and highway across the country. When Henry Ford created a car for the masses, it lead to increased oil exploration, oil pipelines being laid, and the now-ubiquitous gas stations. Similarly, the nascent popularity of the EV is propelling the building of an electric transportation infrastructure. The difference this time around is, Tesla is doing much of the building of the infrastructure as well, unlike the oil infrastructure which was built by the Carnegies and Rockefellers. There is a perception that electricity is just as ‘dirty’ as oil because the energy to make and charge batteries comes from coal-burning sources. There was a time when a majority of our electricity generators were coal-powered, but that’s not true any longer. Coal has increasingly been replacedby renewable sources like wind, nuclear, hydro, and natural gas, as the source for industrial and commercial energy needs. Also, in the US, the majority of oil is used for transportation. That’s why a car. It is the means to a larger end. By any definition, solving this problem of fossil-fuel dependence would qualify as a ‘Wicked Problem’, meaning it is intractable, complex, with many dimensions, competing interests, and fraught with uncertainty. So when faced with the proverbial “How do you eat an elephant?” question, Design’s version of the “One bite at a time” answer is Prototyping and Iteration. This is exactly what Tesla has been doing for the last decades or so, beginning with the Sportster, then the Model S, and soon the Model X. The Model S, which has been on the road now for just over 3 years, is in reality in beta mode. It is constantly being monitored, updated and refined in real time. Everything learned from previous iterations helps better the next. Upcoming models will also be released to the buying public in a similar fashion. Design doesn’t just create the product. When done well, it creates the conditions for perpetual innovation. Design is never finished. Superchargers — The Supercharger is a network of electric charging stations, many solar powered, located in cities and along highways to service electric vehicles. Gigafactory — Tesla is also addressing battery tech development and production by building its own battery facility which according to the company will “begin [battery] cell production in 2017. By 2020, the Gigafactory will reach full capacity and produce more lithium ion batteries annually than were produced worldwide in 2013”. The 10 million square foot Gigafactory, which itself is powered by renewable energy sources like wind and solar, will produce batteries for all kinds of products, including its own cars. It will also produce the Powerwall. Powerwall — The Powerwall, is a beautifully designed home battery that charges using electricity generated from rooftop solar panels, or when utility rates are low, and powers your home in the evening. It also serves as a backup electricity supply in case of outages. SolarCity — While not exactly a part of the Tesla empire, Solarcity is an integral part of the ecosystem. And by no accident, it was founded by Musk’s cousins Peter and Lyndon Rive. SolarCity is the largest end-to-end residential and business solar energy provider. It is backed by sizable funding from the likes of Google, Bank of America, and Musk himself, the largest shareholder, serving as its chairman. In short, Tesla could one day be a company that powers just about everything, from the phones in your pocket, to your car, to your home, to the electric grid itself. Tesla has come to be known for transforming big ideas into reality by employing a human-centered, systems-thinking approach. And in so doing it is creating tremendous value while solving a huge problem. But the best validation for Tesla comes from the business world. The cars practically sell themselves with virtually no marketing. Compare that to traditional auto brands that have some of the biggest marketing and advertising budgets. During the summer of 2012, before Tesla started deliveries on the Model S, the company had around 12,000 reservations with deposits on the all-electric sedan. And just ahead of the launch of the Model X, Tesla could have over 24,000 reservations for the crossover-SUV. Those are unprecedented numbers in the auto industry. It’s not just car enthusiasts and tree-huggers who love Tesla, Wall Street adores the company too. Tesla stock hovers around of $250 per share, which translates to a market valuation of about $33 Billion. Compare that to 90-year old Chrysler, the last big auto company to launch before Tesla, now valued at $24 Billion. How about delivering on its mission to change the energy paradigm? Tesla hasn’t quite yet made ‘a dent in the universe’, but it sure seems like it could, and will in time. Tesla’s success thus far has spurred other car-makers to join the EV race. In addition to hugely popular Nissan Leaf, carmakers like Porsche, Audi, Mercedes, Ford, and Chevrolet have all announced their entrée into the EV market. This is good news. It will have a ripple effect on improving battery tech, expanding the electric charger network, and growing demand for renewable energy sources — filling out Musk’s dream of a non-fossil fuel energy future. If progress continues along this trajectory electric cars will be the norm in a couple of decades. Which will, in turn, lower the atmosphere’s CO2 level, cities will be less polluted, and global temperatures will be lower. If not, SpaceX will help us all migrate to Mars! Next Next post: What’s So F#@*ing Great About HONY?